Your nails are part of you, and they deserve to be treated with care, too. Nail care is important for everyone -- whether you like a simple look with natural nails, or you like to experiment with the hottest shades of nail polish and new ideas for nail designs. The LoveToKnow Nail Care and Designs category is a reliable resource where you can find out what you need to keep your nails beautiful and healthy. Your hands are one of the first things people see, and having healthy, attractive nails can help you to feel confidant about the way you look. From nail problems, such as nail fungus, to information on how to find a good nail salon, this website provides a variety of informative articles on topics related to nail care. 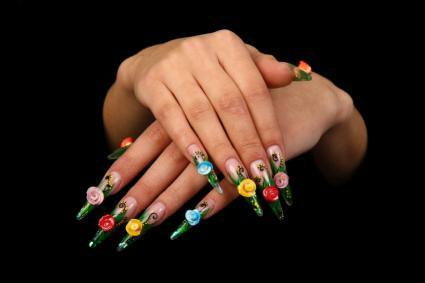 If you want to learn just about anything related to beautiful, healthy nails, you can find it here. If you have questions that you don't see answered here, feel free to stop by the LoveToKnow Makeup Advice Community to ask a question for experts and community members to answer. You can even follow the LoveToKnow Beauty Page on Facebook for nail care and design tips, as well as other beauty-related topics. Of course, also come back to the site category often to see the latest articles and exclusive interviews with skin and nail care experts!